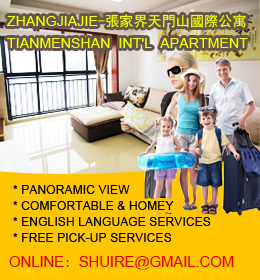 At 21:00pm on February 28, 2019, the flight from Ho Chi Minh City to Zhangjiajie, Yuejie Airlines VJ2552 landed at Zhangjiajie Hehua International Airport. 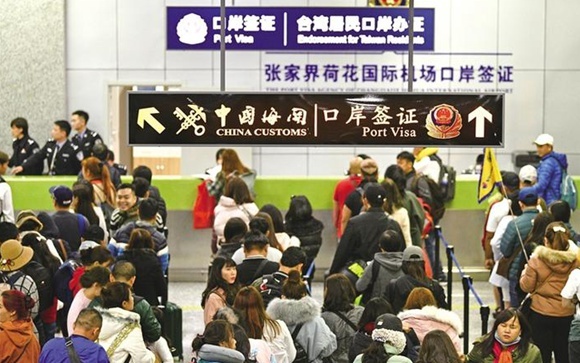 Zhangjiajie City Public Security Bureau Population and Entry & exit port visa detachment’s policemen quickly applied for a group face-to-face visa for the 179 Vietnamese tourists on this flight, in accordance with the prescribed procedures and within the prescribed time limit. The first landing signing group at Zhangjiajie Port successfully cleared the customs. Mr. Ouyang Bin, deputy mayor of Zhangjiajie, greeted the tourists and inspected and supervised the visa on arrival and customs clearance. This picture shows the visa scene for Vietnamese tourists.